Austine Royer Smith is a mother, grandmother, great grandmother, homemaker and member of the First Baptist Church of Garden City, Georgia and serves her Lord by fulfilling speaking engagements in churches, civic organizations and broadcast programs. She has a three-year Diploma from Rhema Bible Training Correspondence Center of Tulsa, Oklahoma. 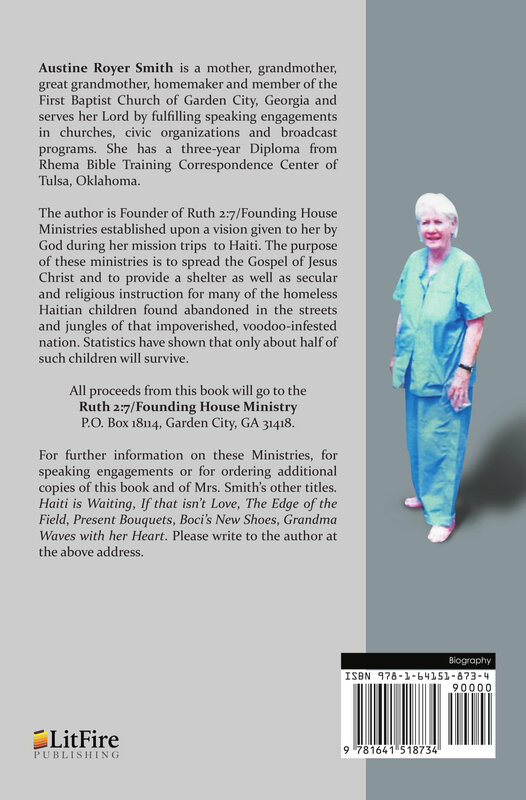 The author is Founder of Ruth 2:7/Founding House Ministries established upon a vision given to her by God during her mission trips to Haiti. The purpose of these ministries is to spread the Gospel of Jesus Christ and to provide a shelter as well as secular and religious instruction for many of the homeless Haitian children found abandoned in the streets and jungles of that impoverished, voodoo-infested nation. 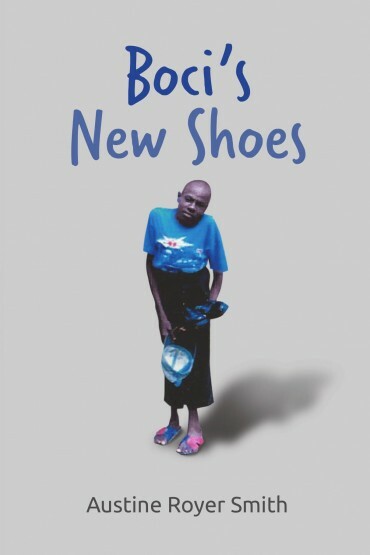 Statistics have shown that only about half of such children will survive. P.O. Box 18114, Garden City, GA 31418. For further information on these Ministries, for speaking engagements or for ordering additional copies of this book and of Mrs. Smith’s other titles. Haiti is Waiting, If that isn’t Love, The Edge of the Field, Present Bouquets, Boci’s New Shoes, Grandma Waves with her Heart. Please write to the author at the above address.